Schlagel graduated from University of New Hampshire in 2018. At UNH, she earned 69 points over 138 games. 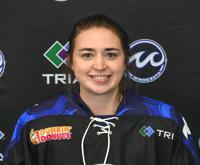 Schlagel is entering her first NWHL season with the Whitecaps.